This is the 10 User licence of Tesselmaniac! - the all-new program for designing and learning about tessellations, tailored for tessellations in which the individual tiles are recognisable motifs. With this program anyone over 8 can create these fascinating designs - made famous by the Dutch artist M C Escher. Starting with any of a broad range of geometric templates and symmetries, Tesselmaniac! draws the full tessellations in real time as its user distorts a single tile. The Flipping Tile Game is included to make learning about geometric transformations fun. 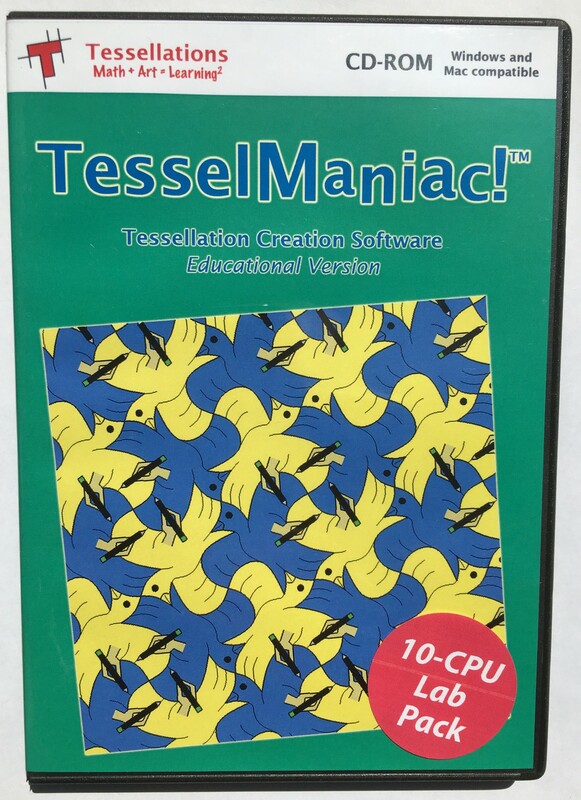 Written by Kevin Lee, the author of the classic Tesselmania and Tessellation Exploration software, Tesselmaniac! is packed with powerful and convenient features.